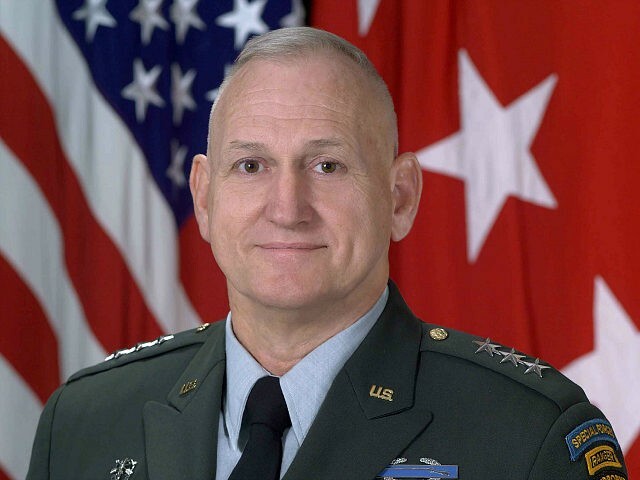 WASHINGTON D. C. — “We have to do now restore the founding principles of this nation … We’ve got to get back to understanding that the Constitution is the bedrock of who we are,” retired Lt. Gen. Jerry Boykin told Matthew Boyle on Breitbart News Saturday, as Boyle guest-hosted that show on SiriusXM Patriot channel 125 this weekend. Boykin — the former commanding general of Delta Force and various U.S. Army commands, as Breitbart News has previously reported — was talking with Boyle about the latest campaign by anti-Christian activist Mikey Weinstein. Weinstein was protesting the fact that Boykin — a devout Christian who now works as executive vice president of the Family Research Council — was scheduled to speak at a prayer breakfast on the June 6 anniversary of the D-Day invasion of Normandy that ultimately defeated the Nazis. Boykin emphasized that attending the breakfast was purely voluntary. He explained that he was going to talk about the prayer in which President Franklin D. Roosevelt led the nation for several minutes on national radio, discuss the Bibles that were given out to the soldiers, and the prayers that Gen. Dwight D. Eisenhower (who later became another U.S. president) and Gen. George Patton ordered their subordinate officers to offer during World War II. “That is hardly a radical message,” the retired general observed. Yet Weinstein had claimed that military personnel were calling him on the phone literally in tears about the fact that Boykin would speak about such things on a military base. “If somebody was actually crying on the phone, what does that say about our military? Are you kidding me? And we think we can take on ISIS?” Boykin asked rhetorically, going on to say that he was confident that no such tearful phone calls ever occurred. But Boykin then took the conversation with Boyle to a broader scope, saying that incidents such as these arise from the American people losing their understanding of what is in the U.S. Constitution as the Supreme Law of the Land. He went on to list various rights guaranteed by the Constitution’s First Amendment, including religious freedom, adding that such freedom goes far beyond mere “freedom of worship” to include both the free-speech right to share and express your faith and separately the right to live out your faith as the free exercise of religion.